Our goal at Whale Branch Elementary School is to increase the amount of waste going into the school's single sort recycling bin and decrease the amount going into the dumpster. 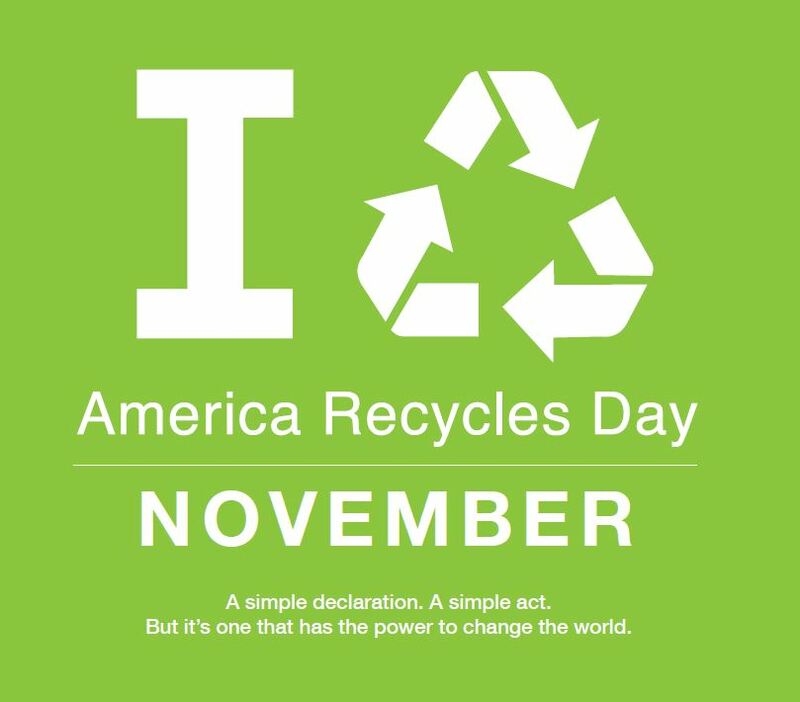 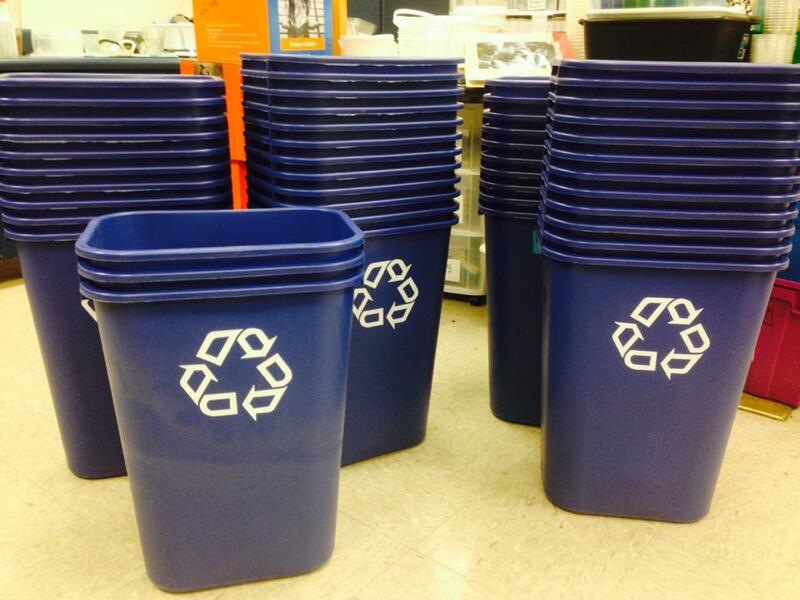 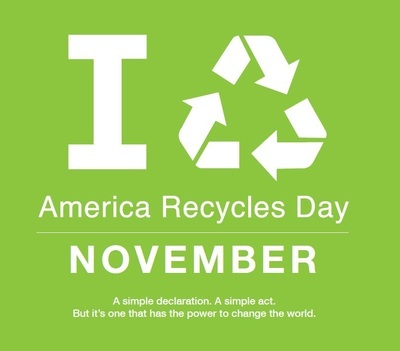 To accomplish this, learning about recycling starts early in the school year. 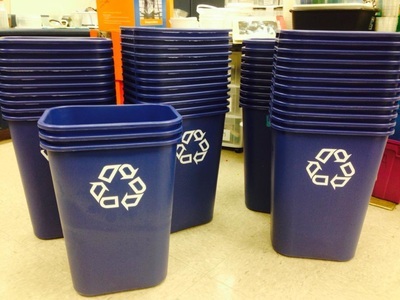 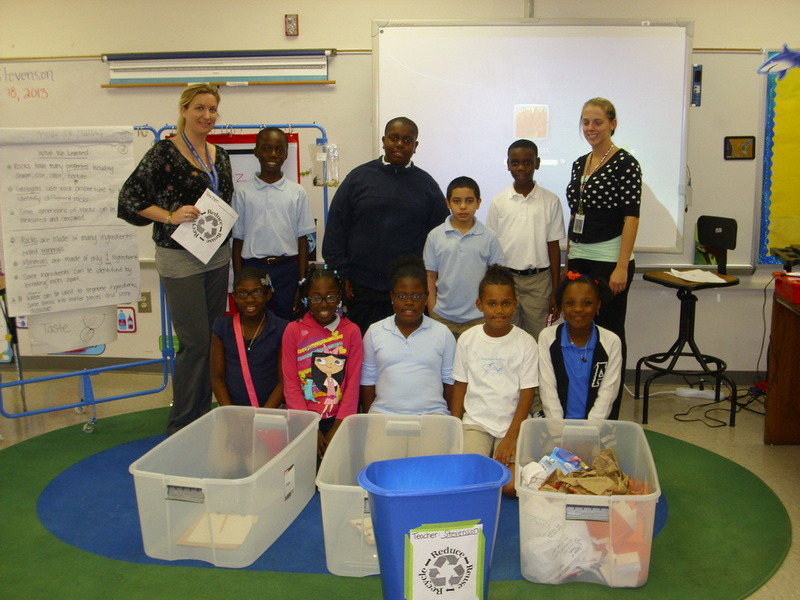 After a quick recycling lesson and sort, students and teachers begin recycling in their classrooms and workrooms all year long. 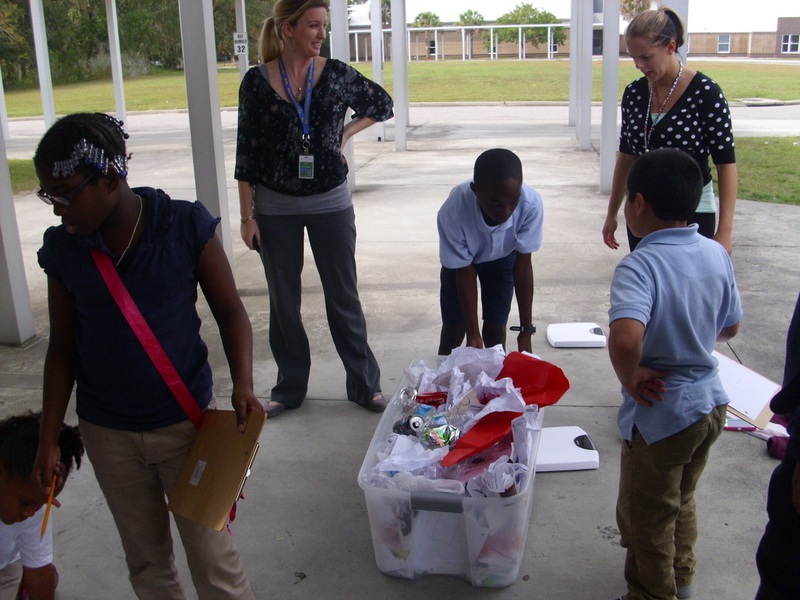 To make it a little more interesting, grade levels compete against one another to see who recycles the most each week and by year's end. 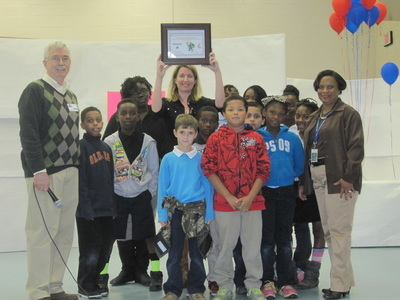 The grade that collects the most wins a special party at the end of the year! 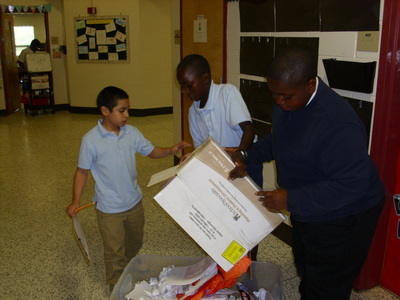 Members of the Green Team sort and collect the recyclables every Friday. 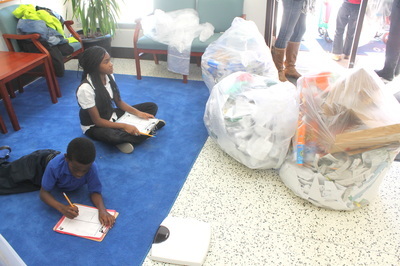 Then, before placing them in the school's recycling bin, they weigh them and record the data in logbooks. The data is then transferred to the recycling bulletin board for all students to check and see who is currently in the lead. 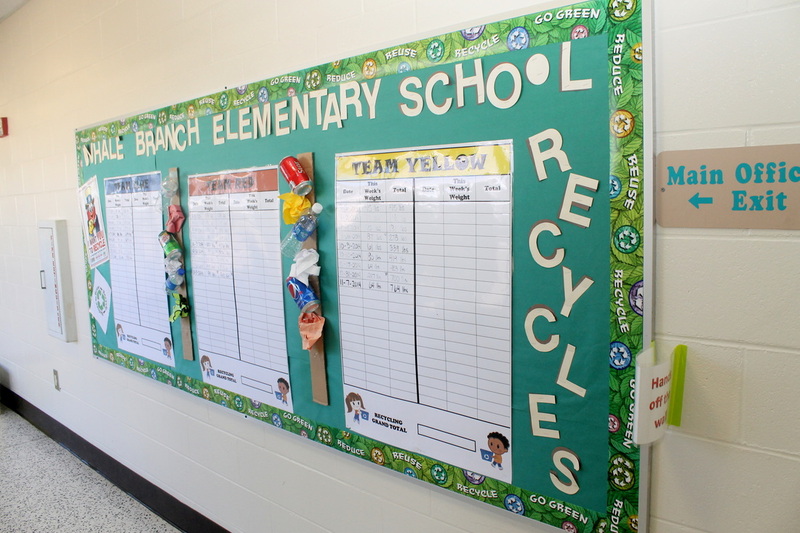 Green Team members have also created video tutorials that are played daily on our school's news show. 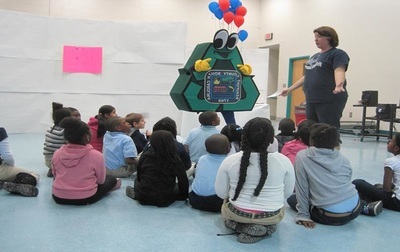 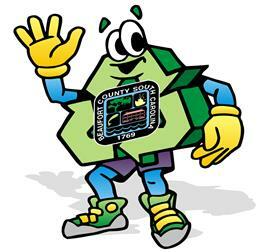 Beaufort County's Recycling Mascot Rerun! 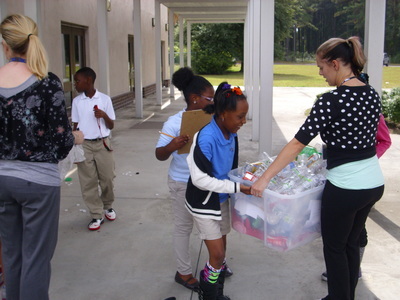 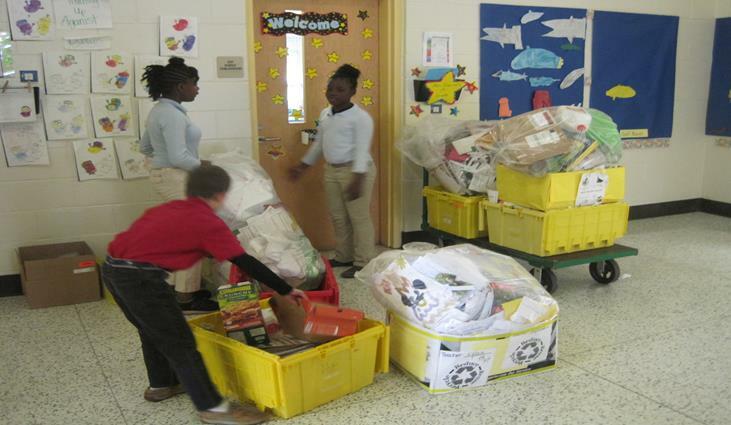 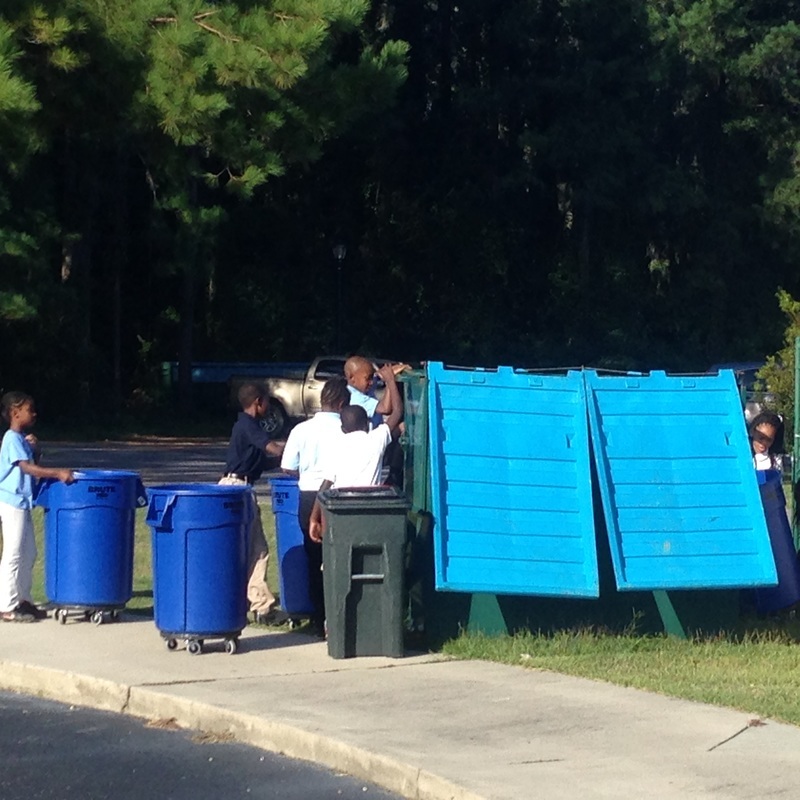 WTOC News investigates our school's recycling program! 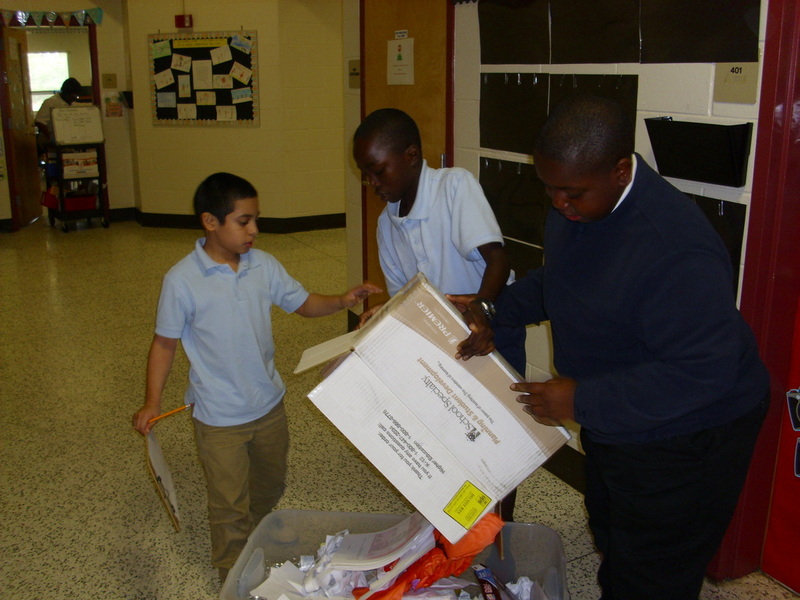 Filling Up the Single-Sort Recycling Bin! 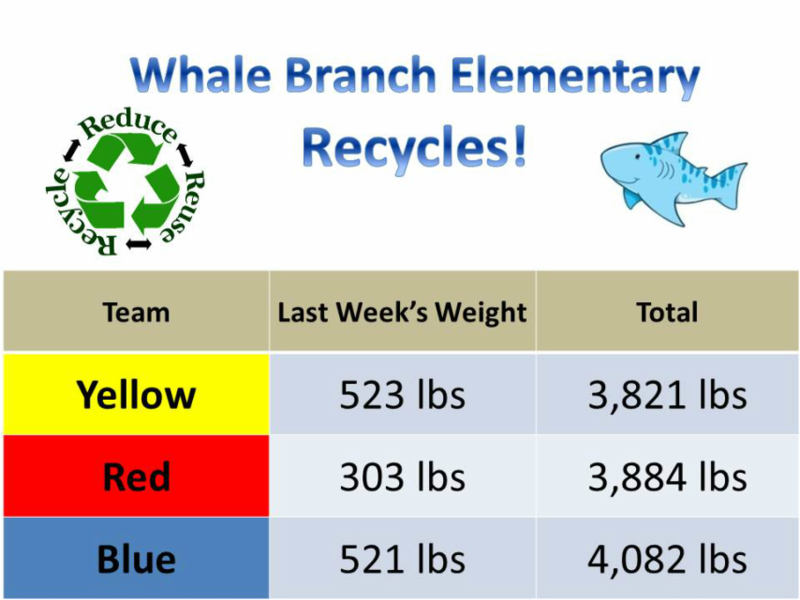 RECYCLING RESULTS as of 5/6/16 - Over 12,000lbs so far!!! Members of the Whale Branch Elementary School's Green Team learned about the anatomy of a landfill with the help of community volunteer Carol Murphy. 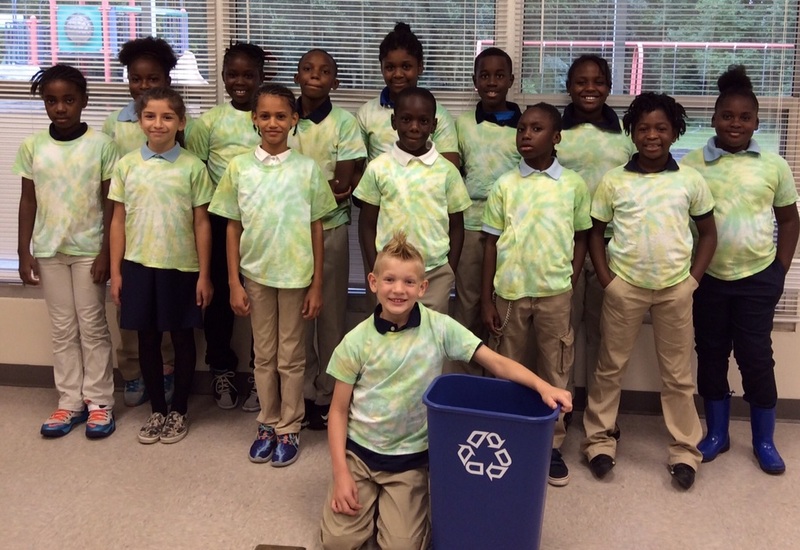 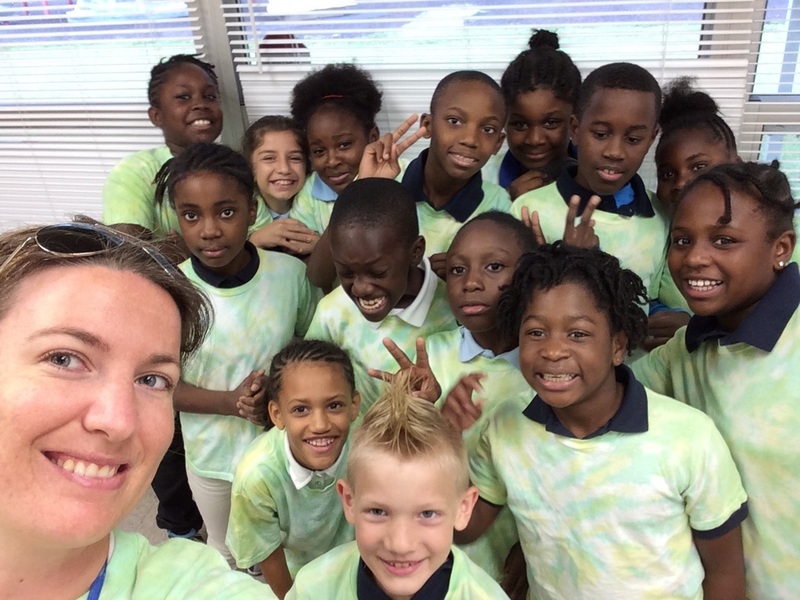 Mrs. Murphy is a volunteer with Waste Management, Hickory Hill Landfill, and Keep Beaufort County Beautiful. 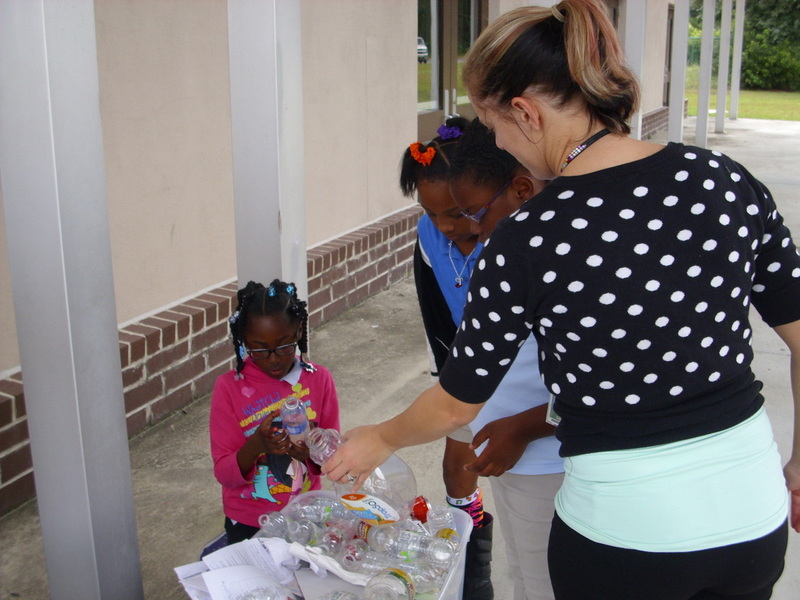 She works to teach students why recycling is important so they can help reduce the amount of solid waste in our landfills. 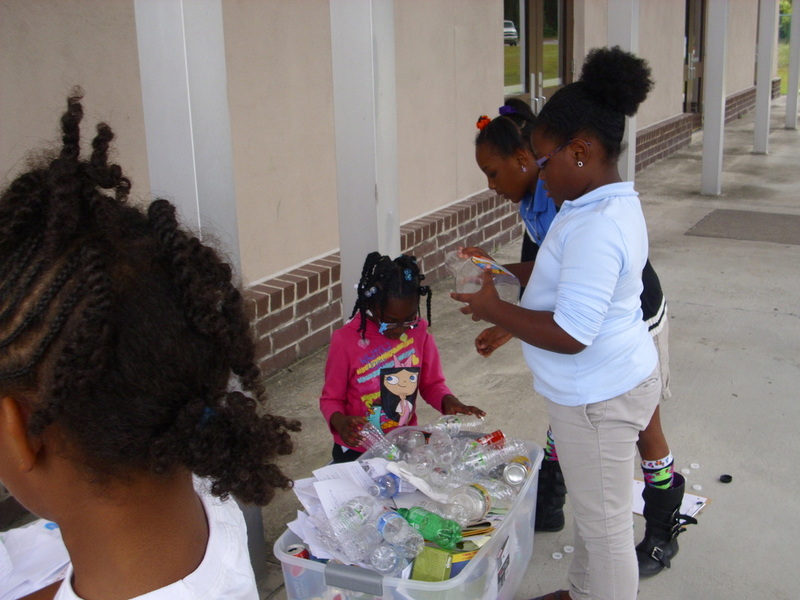 Topic: What can we recycle at Whale Branch Elementary? Topic: What can we not recycle at Whale Branch Elementary? 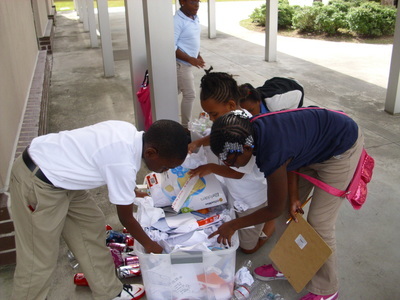 Topic: Why do we recycle?